Ever feel like all these blogs and forums and websites are too much, oh my?! They probably are, so guess what? Don’t even try to keep up. Read, or listen or watch what you can. You are not obligated to read all of this stuff, and the moment you have that thought, step away from your PC, your Mac, your phone, your iPad, your kid’s DSI…. Go outside and inhale some fresh air. Then come back in and eat something really decadent that is not on your diet. After that, you won’t feel like you’re overdoing the web. You can come back to your system and look up great diet sites that have wonderful tips on how to keep from overeating, which you may never use, but it makes you feel good to read them. See how useful the web can be? By the way, I had a great piece for yesterday to celebrate Martin Luther King’s birthday, but I got caught up in reading and watching so much that I never posted it. And posting at 11:55pm didn’t seem it would have the same effect. Maybe next year for that piece. Oh my God! Did I just commit to another year of this?!! Someone slap me. So there are a few people I have to thank for being encouraging to me in blogging, writing, just general creativity, and joy. Heather, Elvira and Angela (aka Spikesbint) were the first people in the RA universe to bring me such pleasure and spark something creative in me. They don’t know that, but it’s true, and I wonder how many people they’ve inspired. It must be legions. Might not be a bad idea for RA to pay them a fee for such great promotion. Oh, I know they do it as a labor of love, but what untold benefits it’s reaped for many of us. Bccmee is another who has challenged my creativity. It’s amazing to me that she was “never creative before” her encounter with RA, and she’s just funny. Pi also gets credit for talking to me about writing and deigning to encourage a hack like me. If some of you haven’t heard me say it, I’m saying it again here. I love her writing and would be glad to read anything she writes — RA or no RA. Servetus is another one who has been a great encouragement to me. She was one of the reasons I started blogging. I enjoyed reading her blog immensely. It challenged something in me that I had let go dormant. Most of us who blog or comment know that she’s upped the bar on how we approach a subject, and I for one love this. Aside from all of that, she’s just a sweethearted person, and I wish her all the best in the world. But frankly :D, I would not be doing this blog if it were not for Natalie. She is an inspiration and like Richard Armitage, is obviously a class act. Yes, she’s really as funny and clever and sweet when you talk to her as she appears to be in her blog, and I cannot leave this post without saying that I suspect most (perhaps not all but most) of the current RA bloggers would not exist if not for her. At the time her blog popped up, there had only been one other RA blog to my knowledge. It was run by LuvDemBrooders, but had not been active in awhile. So glad that void was filled by Nat, and I hope Richard Armitage is smart enough (when he’s not too busy) to look at her stuff. In fact, I’ll go out on a limb and say that if he doesn’t, I might think him a fool (ducks). Not sure that I would indeed think him a fool, but I might. :D If he doesn’t look at it, I may really write him a letter. LOL! Oh, and Nat, I love my Stick Figure Richard t-shirt. Need to get a picture in it. There are so many other people who have been a delight along the way, but if I named everyone, you would be here quite a while. Suffice to say that I would not be here without so many of you. Thank you so much. Screencap courtesy of RichardArmitageNet.Com, who has made this process of blogging exponentially easier. Thank you! See Diary Part 13 here, or to access all entries, hit “The Diary” tab above. I’m now the proud owner of a multi-region DVD player. $89 and a little shipping, and it’s sitting in the entertainment cabinet. And why? 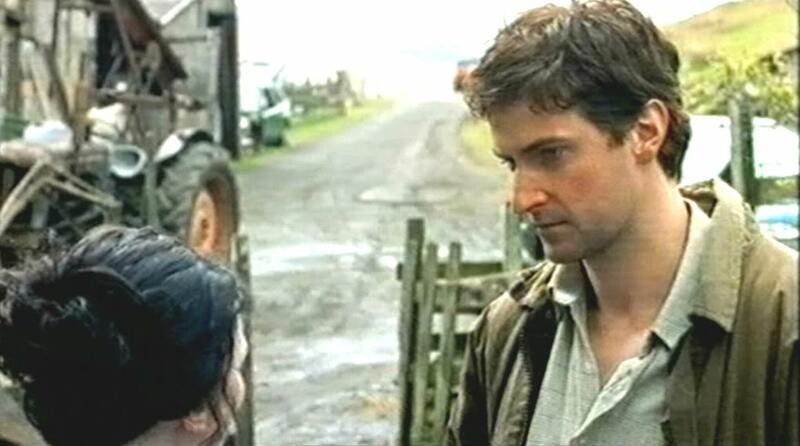 Because I wanted to watch something else with Richard Armitage and it wouldn’t play on a Region 1 DVD player. I tried to get it some other way, but noooo, it wasn’t available. Did that stop me? Certainly not. I got so excited I ordered it before I left mom’s house and it beat me home. Not a good move as it only created a lot of curiosity in the house. We already have a DVD player. Why didn’t I just hack the damn thing? So that makes a grand total of at least 300 bucks I’ve spent on Richard Armitage, and no one’s ever heard of him! Well, a few people on YouTube and IMDb and yeah, some people in England. SO and the little SOs are gone for the evening. I’m so past them watching anything with Richard Armitage. I could care less if they watch him, but I’m ready to watch “Sparkhouse.” Part of me cannot believe I’m doing this. I really did hate Wuthering Heights. Plus, SO made a joke about me watching. Of course it’s a joke. Everything’s a joke, and I always laugh. I can’t help it. He’s funny. Then there’s his obsession with changing up names. So Richard Armitage got a new one. 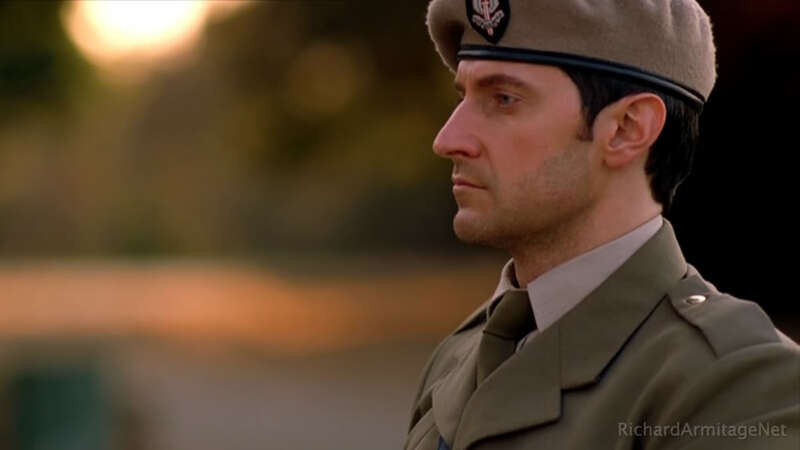 The day SO says Richard Armitage’s name correctly will be the day I probably need to quit watching his stuff. But for now SO made another crack as he was going out the door, “I hope you and Mr. Embouchure have a good time.” Oh we will. I think. Not sure. But with $89+shipping and $30+shipping for the video, it better be worth it. That makes over a 100 bucks to watch the guy in one movie. No matter how much I like Mr. Embouchure, that’s an expensive night at the movies. I salve my conscience with the fact I’ve rarely bought anything for myself — at least in the last several years. WHO is this guy?! Ewan MacGregor has a chameleon quality, and yeah, Russell Crowe can change himself quite a bit. But sometimes I can’t forget who they are. 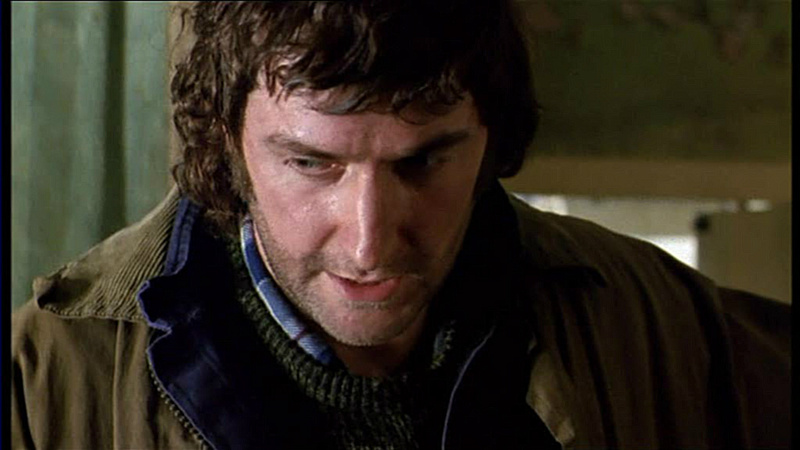 I didn’t even recognize Richard Armitage as the same actor. I knew going into this he was going to be different. I kept hearing on IMDb that this character looked almost nothing like him. But I still wasn’t prepared. I saw John Standring, and there was no thought of anyone else even after his transformation. 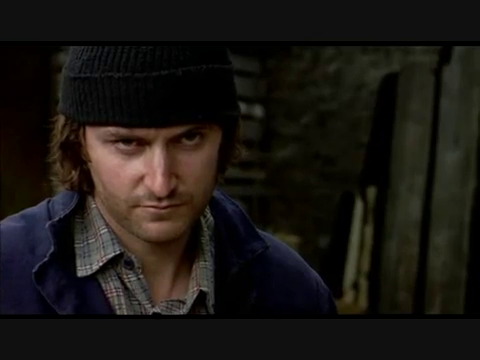 Armitage becomes his characters more than any actor I’ve ever seen. Can I really make that grandiose statement about some obscure actor from England? But John Thornton was a force to be reckoned with. 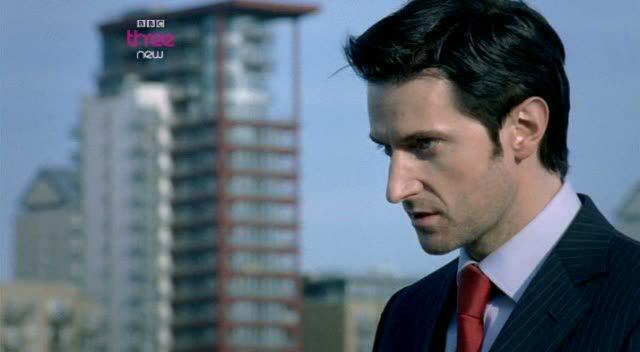 After watching him, I didn’t think Richard Armitage could be someone else so completely. 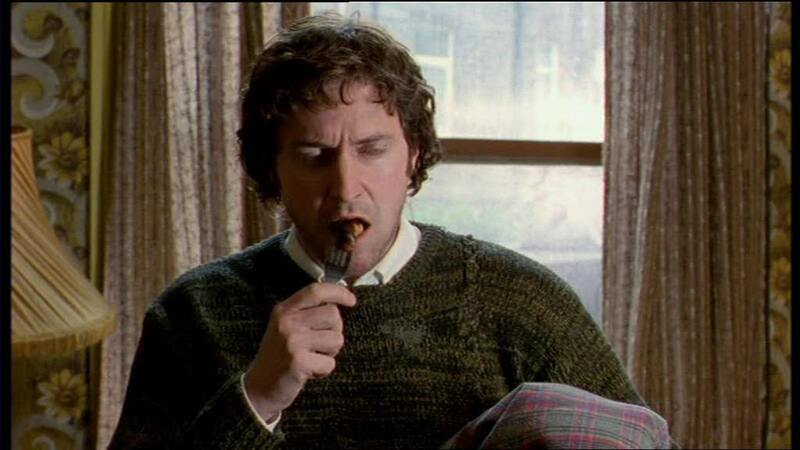 Then he was Harry, and John Thornton was not even a thought in my head while I was watching him. 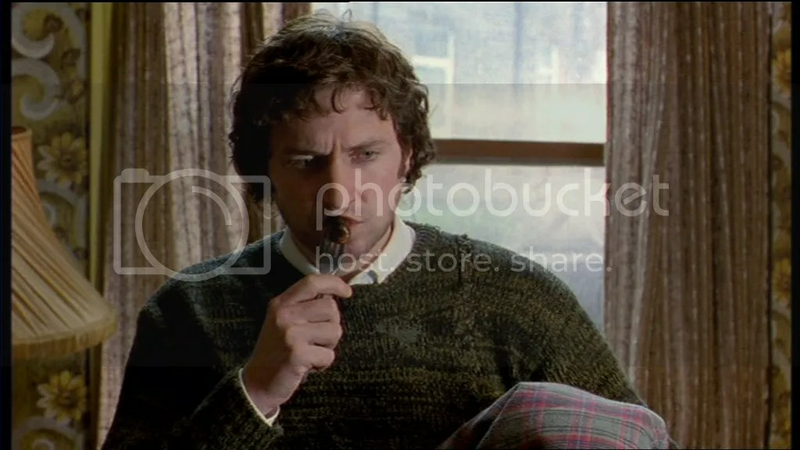 Of course there was Guy, who was also a force and brooded so beautifully, but it wasn’t John Thornton’s brooding, and now another John, who really is another John and not just John Thornton with shaggy hair and dowdy clothes. Even after his haircut and change of clothes, the man, John Standring was still there only better looking. Wow. Why is this guy almost completely unknown? Is there that much of a barrier between here and England? I wish SO would watch something more than Vicar of Dibley. 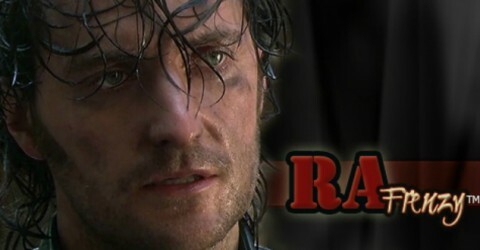 That didn’t have nearly enough Richard Armitage to show his abilities. SO loves characters and stories so much he would love the acting this guy does. 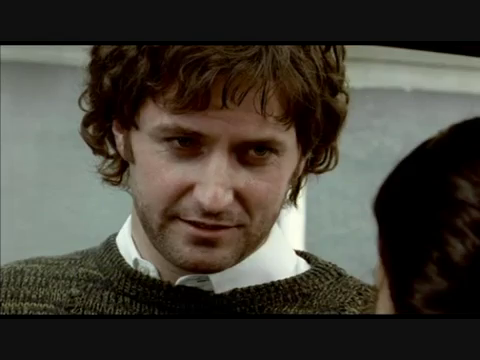 But he’s consigned Richard Armitage to nothing more than a Brad Pitt type of fascination for me. He’s so wrong. Brad Pitt never made me feel I’d been sucked into a black hole. Daniel Day-Lewis came close playing Gerry Conlon, but nothing like this. John Standring has made this more than just a passing phase. See Diary Part 15 here. I promise to throw in more media even if it’s something you’ve seen a thousand times. Can we look at these pictures enough? I said I love his jawline, and this is where it started, and if you don’t know which picture is under the link, then you’re not really a fan of RA. LOL! Yes, I flipped that one. 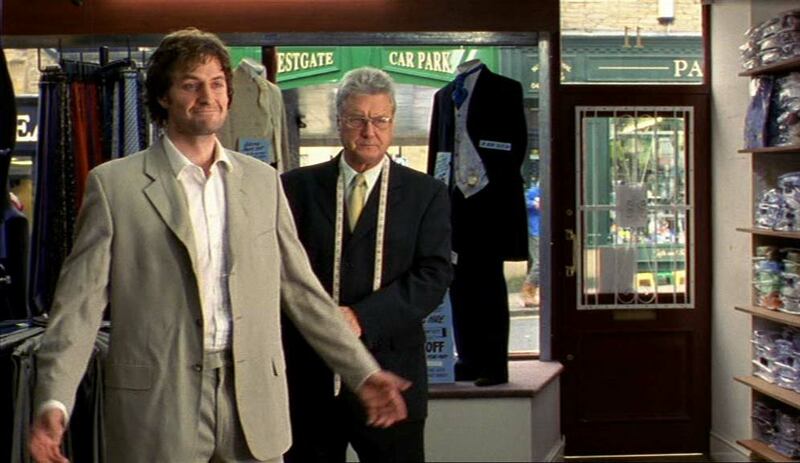 Screencaps courtesy of RichardArmitageNet.ComCom, RobinHood2006.com and my own stash.